World Rugby and the Japan 2019 organising committee have confirmed that the Rugby World Cup 2019 pool draw will take place on 10 May, 2017 in Kyoto's State Guest House. The iconic venue is a national symbol in Japan and has played host to globally important meetings, including hosting world leaders at the 2016 G7 summit. With excitement and anticipation building across Japan, the selection of Kyoto, the historical and cultural heart of Japan, reflects World Rugby and Japan Rugby 2019's commitment to an event that is for the entire nation. The draw is a focal point for teams and fans as they can start to plan their Rugby World Cup 2019 experience in earnest. The unique and special location within Japan's former capital at a time that optimises domestic and international exposure will build excitement on the road to Japan 2019. World Rugby Chairman Bill Beaumont said: "The pool draw is an important milestone on the road to Rugby World Cup 2019 as it really drives excitement and momentum both in the host nation and throughout the global rugby family – it is the moment when teams and fans really start to plan for their Rugby World Cup 2019 experience. 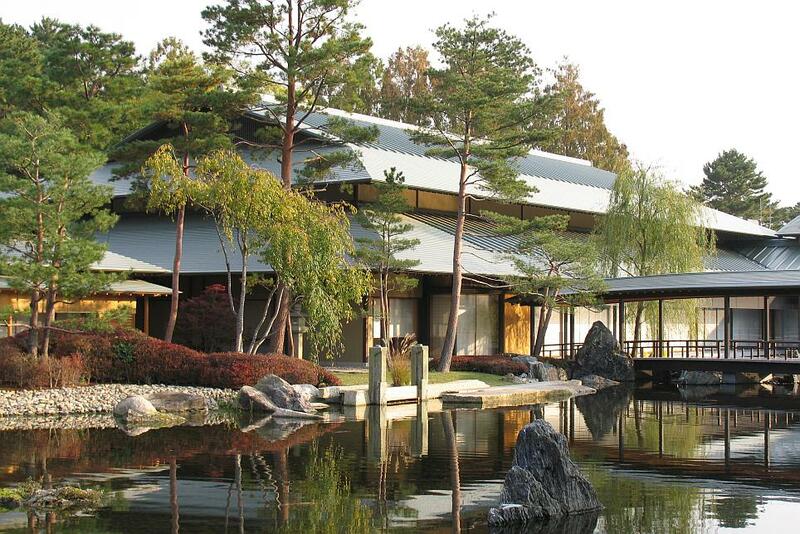 "Kyoto is synonymous with Japanese culture and heritage and the Kyoto State Guest House is therefore a fitting choice for this prestigious and much-anticipated event. In addition to Kyoto as pool draw host, the tournament comprises 12 host cities and a host of team camps, meaning the tournament will be within easy reach of communities the length and breadth of the host nation. Japan 2019 organising committee Chief Executive Akira Shimazu added: "I am delighted to confirm that the pool draw, a great milestone on the road to Japan 2019, will be held at Kyoto State Guest House on 10 May 2017. The Kyoto State Guest House is a very special place for us and has welcomed many heads of state. "It is the first time that the pool draw has been hosted outside of the UK or Ireland and we are determined to make the most of this opportunity to showcase the very best of Japan to the world, and the best of rugby to Japan. It is very exciting." For Kyoto, hosting the pool draw represents an opportunity to play its part in a globally renowned tournament that attracted more than 400,000 international visitors and delivered £2.3 billion in economic output for the UK in 2015. Mayor of Kyoto City Daisaku Kadokawa said: "We are honoured and excited to be hosting the Rugby World Cup 2019 pool draw, which represents a great opportunity to showcase Kyoto and Japan to the world and to bring the passion and excitement of Rugby World Cup to our city. We look forward to welcoming the rugby family to our city in May with the spirit of Omotenashi." The later window for the draw was approved by the World Rugby Council in November 2015 and has enabled greater opportunity for teams to secure the best-possible rankings place and banding for the draw. Twelve of the 20 participating teams have already been determined with Argentina, Australia, England, France, Georgia, Ireland, Italy, Japan, New Zealand, Scotland, South Africa and Wales automatically qualifying courtesy of finishing in the top three of their pools at Rugby World Cup 2015. The remaining eight teams will be determined via the global qualification process that kicked off earlier this year.